Get your shades, Ipods and hoods ready everyone! 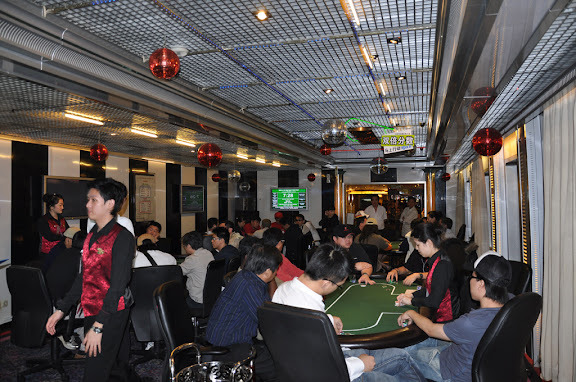 The MV Long Jie’s got more of your favourite Texas Hold’em tournaments coming up on the last weekend of May! With larger fields and expanding prize pools every month, there simply isn’t a better place to pit your tournament skills against the finest players in the regional community. We’ve already crowned 3 champions so far; will you be the 4th? Be sure to hop on board on the 29th of May for your share of tournament glory, swollen prize pools, and the juiciest cash games in town! May 29th (Friday), 2009, 9pm. Sit-n-Go satellites to the main event will be available upon demand. 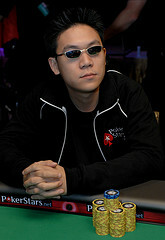 Unlimited Rebuys up till the first break, 1 optional add-on at the break. Check our forums for more information on boarding and accommodation.